I'm totally neurotic about my teeth. It could be the fact that I have 3 dentists in my family, including my dad. Or that I absolutely love smiling and laughing. I got a semi-permanent retainer on the back of my top teeth and over the past few years it has started to unravel, it torqued my two front teeth to make one of them stick out in front of the other. It has been driving me freaking insane over the past year. Finally, I now have the time and courage to get them back on. 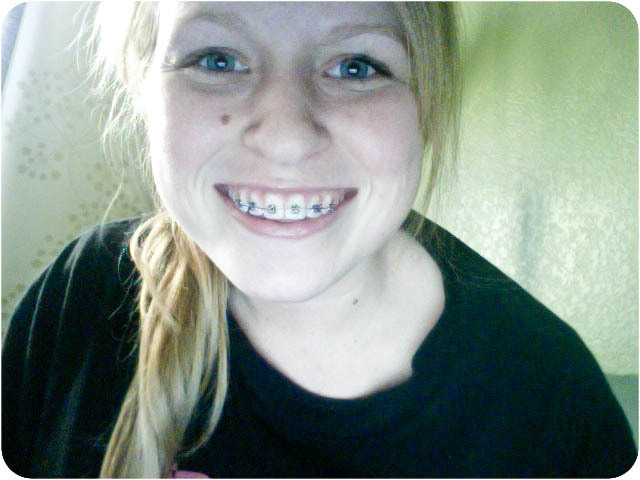 Which leaves me to now, officially with braces on again. 1. As soon as I saw myself in the mirror with them on, I instantly flashed back to my 8th grade year. Oh gosh. Everyone hated middle school for a reason. 2. Ryan has always said he liked the fact that he married someone younger, now everyone's gonna think I'm 16 again. Hooray for him? 3. As soon as I walk in the door my brothers they can't take their eyes off my mouth. Then they start laughing. Thanks guys. 4. I keep running my tongue over my teeth cause it doesn't feel real. I'm in a dream! 6. Now I have to practice smiling with my mouth closed, I never usually do that cause people tell me I look pissed! 7. Only 4-6 months of the weirdness! Be prepared for random brace posts and awkward smiling pictures. Hey, my name is Bri, too. :) How fun. You are super cute. i love that last picture. haha. also, went dress shopping with my sister and saw the dress you bought on a mannequin. looked much prettier on you and with the pretty alterations! Hey other Bri! And you are mega cute too. Let's be friends! And thanks Ashley :) Once I get my mouth situated around the metal I'll be smiling normal again :) And I keep repeated to myself 'Perfect teeth perfect teeth'. Maybe I should start doing that with working out....'perfect body perfect body'. haha! Kayleigh, my wedding dress? Cause the people at Davids Bridal were lame and wouldn't put the sleeves on, so I got it done elsewhere. And thanks! Any luck with the dress shopping?? 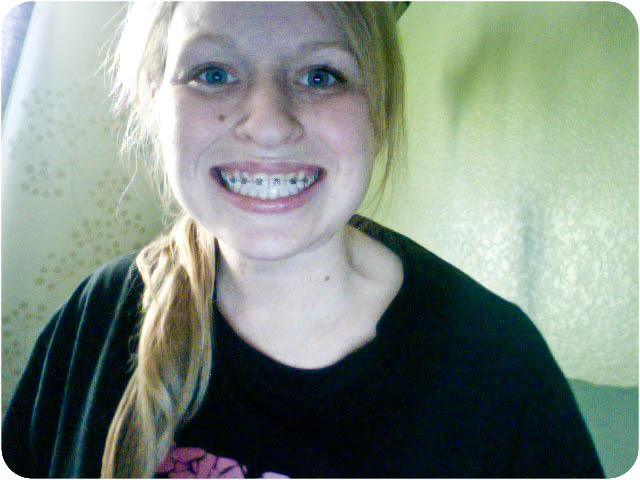 Aw you poor thing, I can't imagine having to have braces again - they look perfectly adorable on you though! Hope your mouth isn't too sore! These pictures are so cute, haha. 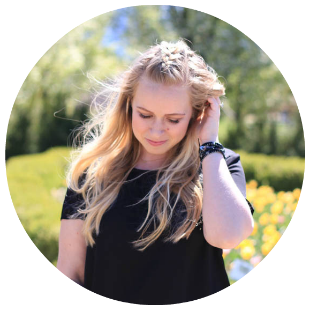 I love your blog, and I'm so glad you found mine! I know all too well the woes of dental work, but 4-6 months is not too bad. I say rock those braces with total confidence! I think that you look adorable in them and not at all awkward like I did back in the day haha. haha, not YOUR wedding dress. one like the one you bought. but yours was very much prettier with the alterations on it. friggin' david's bridal charges and arm and a leg for alterations! also, yes. :) i got my dress last week. first dress i tried on. and your homemade gifts are lovely. i know that's your next post, but i'm commenting here. haha. :) merry christmas! HAHAHA I love number 2 and 5. 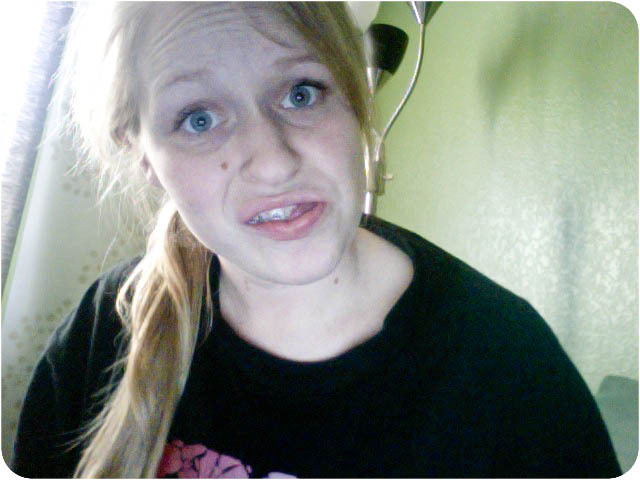 Just be glad you're not trying to date with braces....like I did for two of my college years. :P Love you hope you've had a fantabulous break!